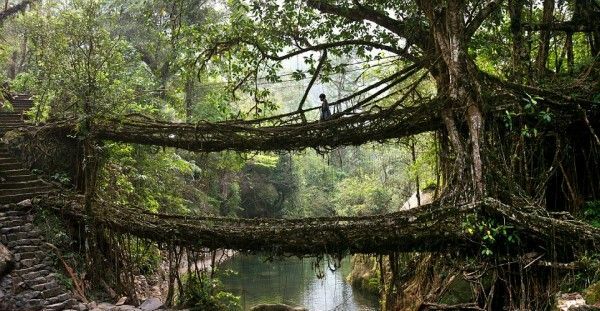 Double Decker living tree root bridge, Meghalaya, India The living bridges of Cherrapunji, India are made from the roots of the Ficus elastica tree.This tree produces a series of secondary roots from higher up its trunk and can comfortably perch atop huge boulders along the riverbanks, or even in the middle of the rivers themselves. Rockefeller Center, New York City Merry Christmas! Love Christmas time in NYC!